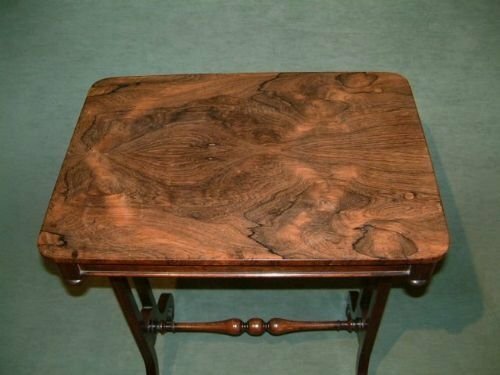 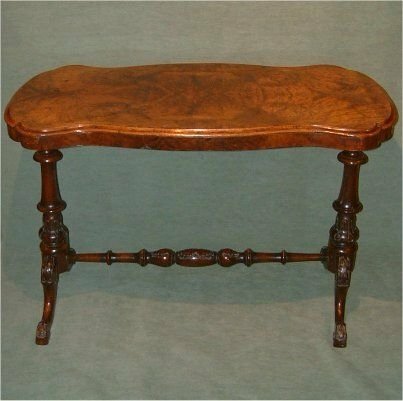 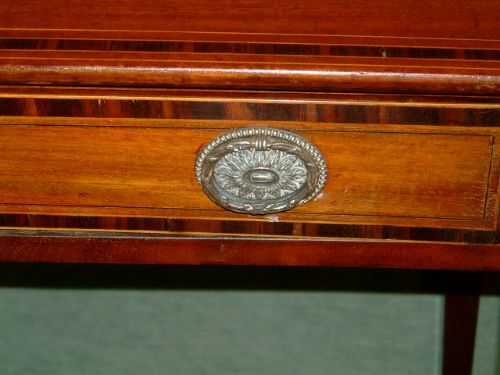 William 1Vth Rosewood Occasional Table with Carved Rosette Decoration, the Excellent Figured Top Supported on Scroll Feet. 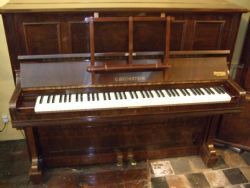 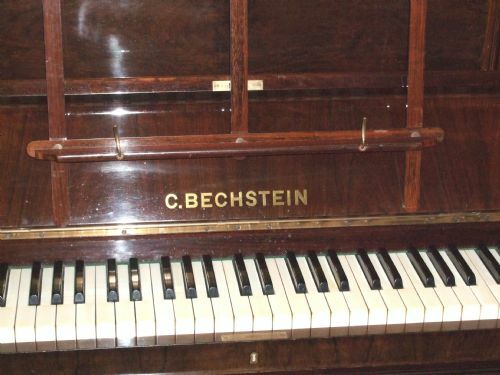 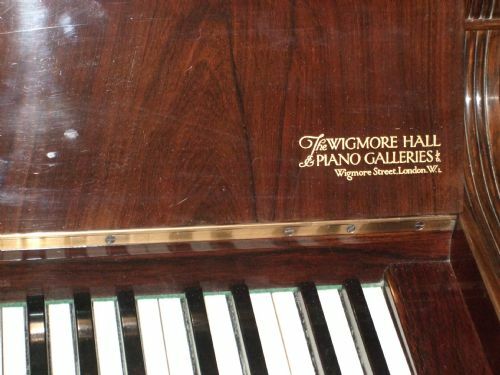 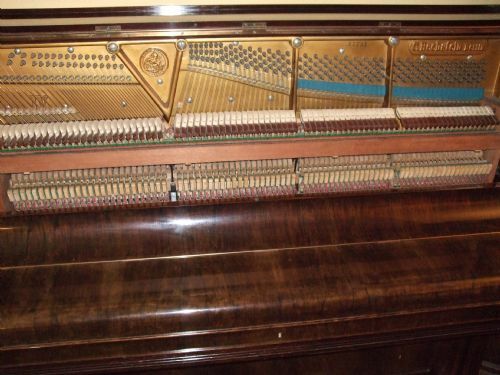 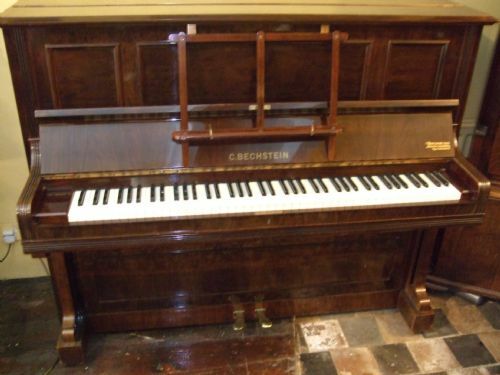 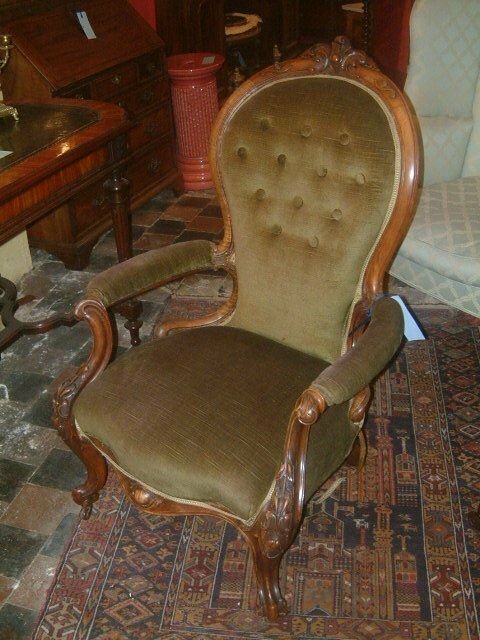 Superb Colour and Fine Lines, with Green Baize Interior. 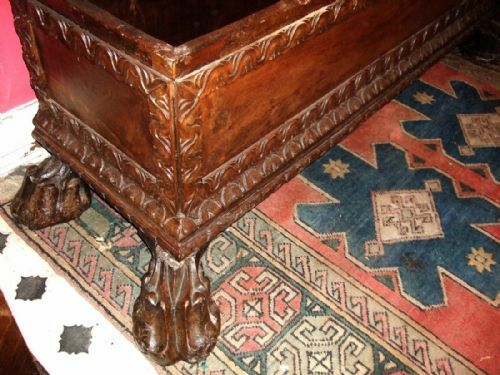 Good Figuring to the Top Supported on Carved Twin Pedestals with stretcher. 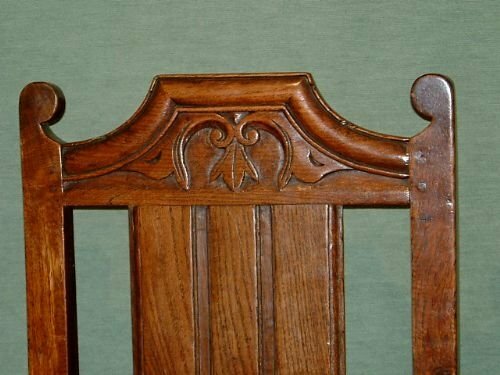 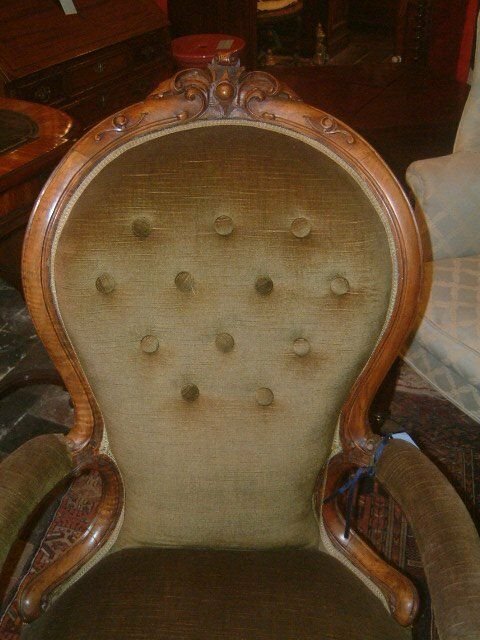 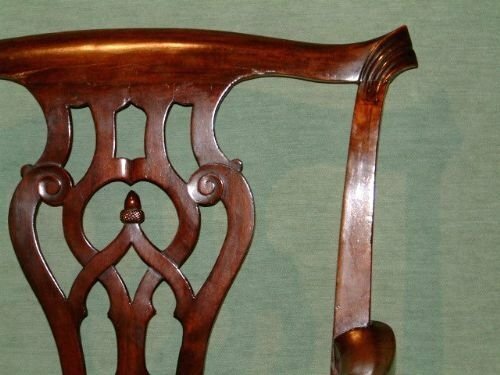 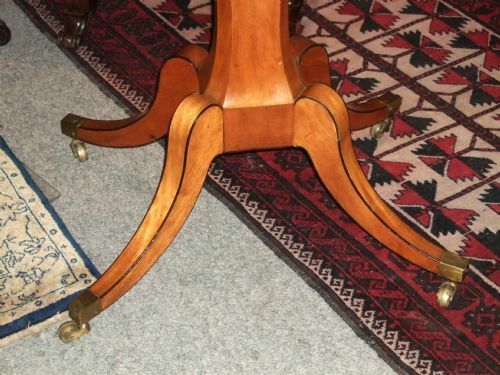 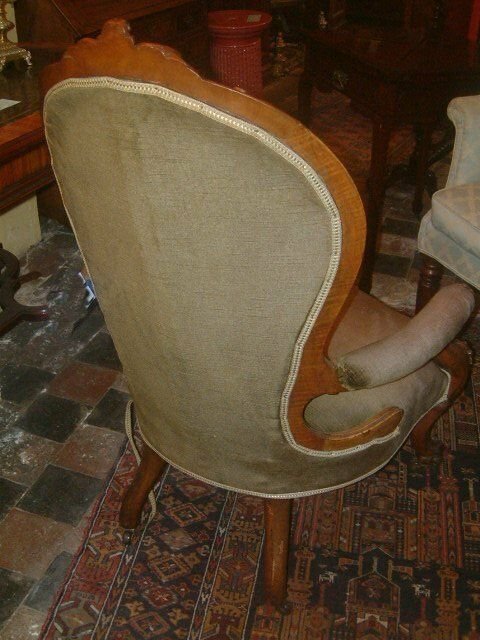 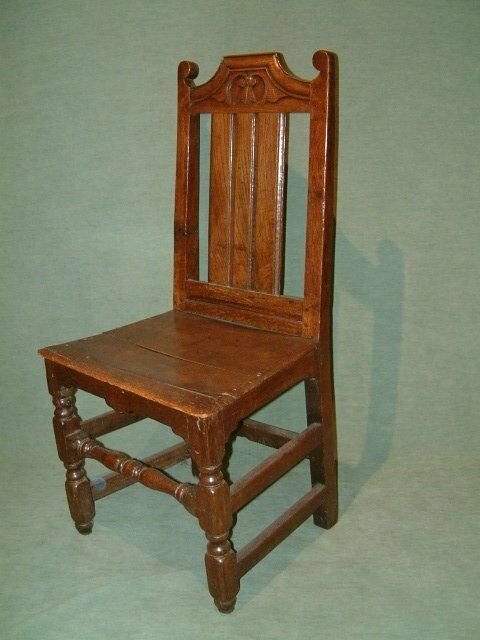 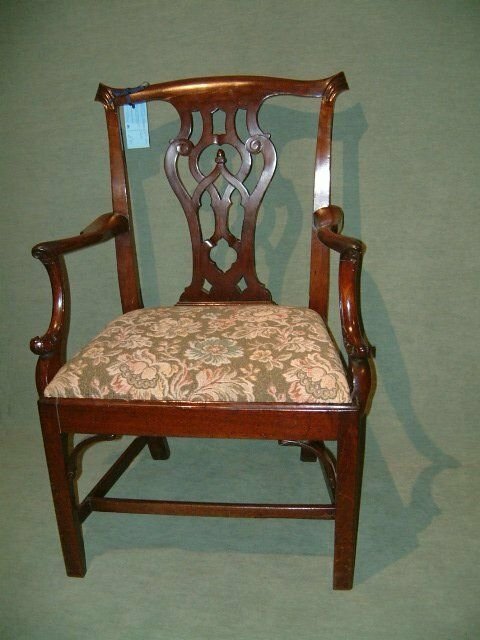 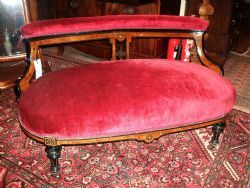 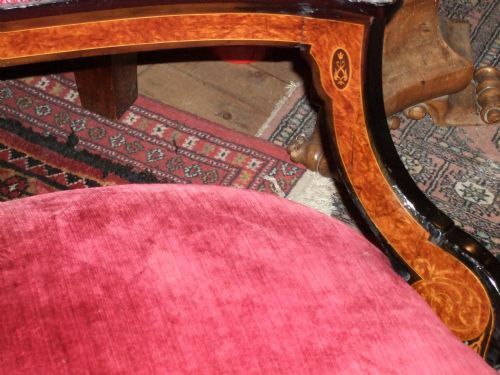 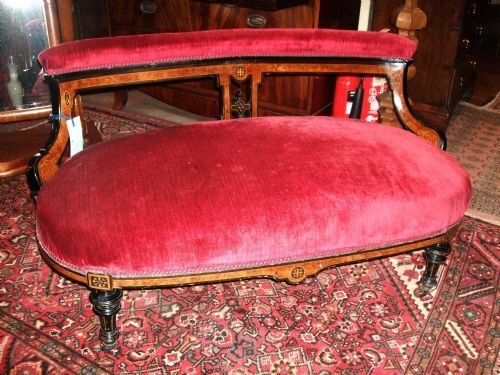 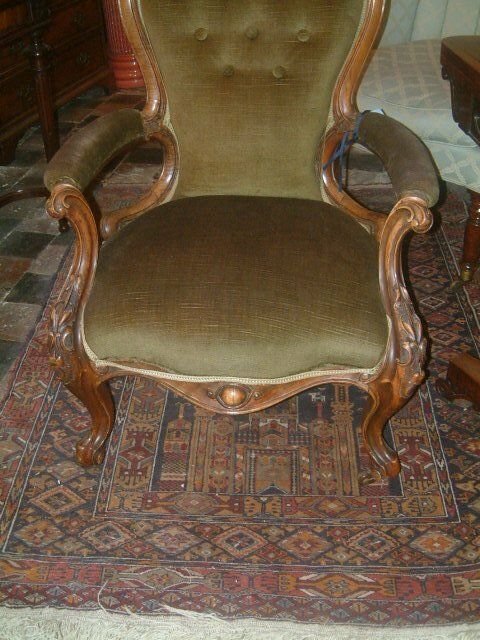 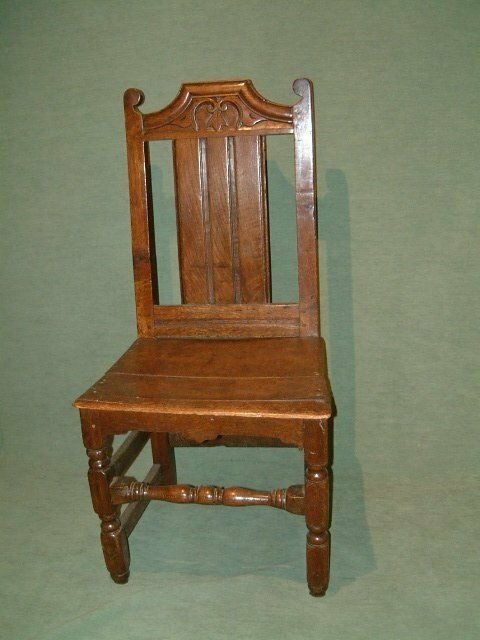 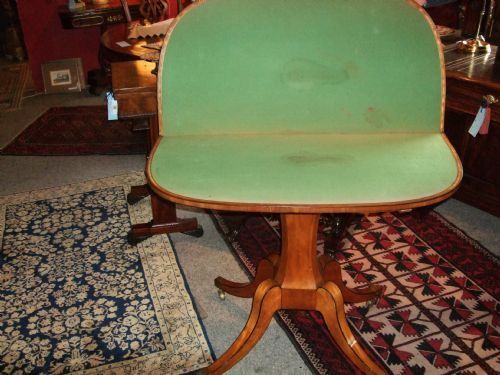 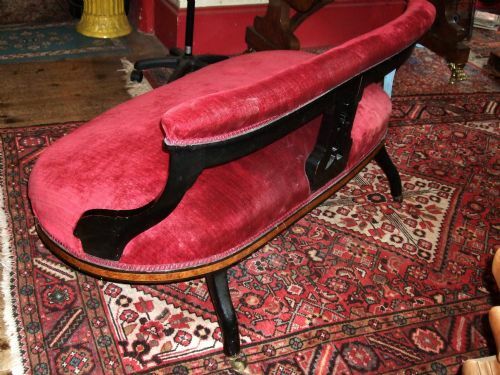 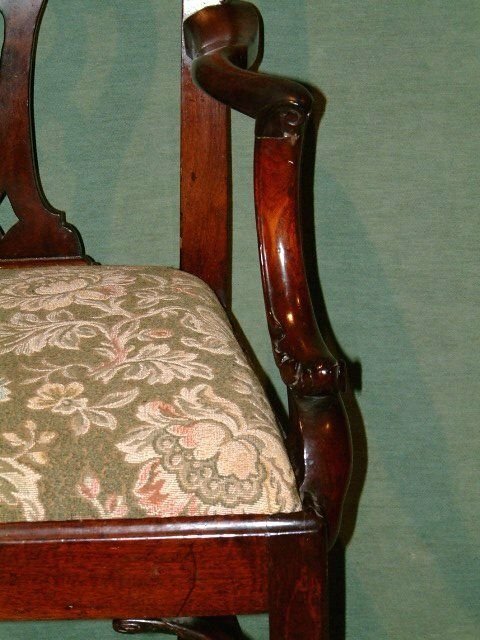 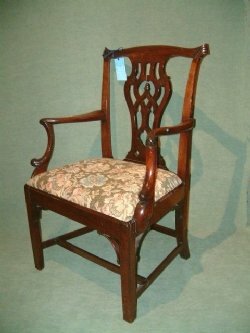 Carved Victorian Walnut Arm Chair. 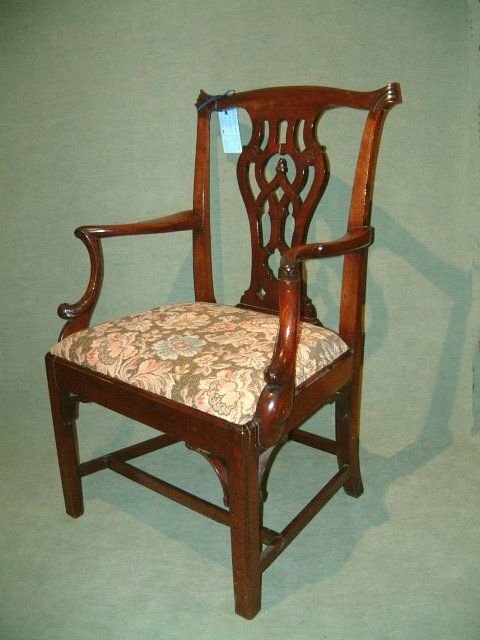 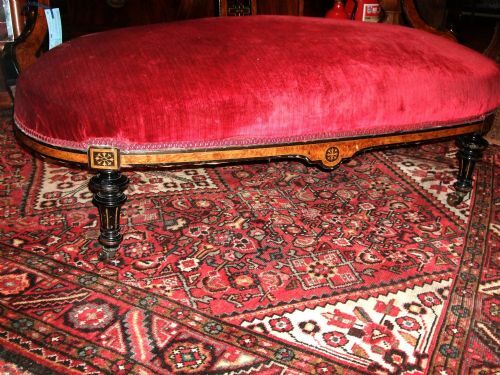 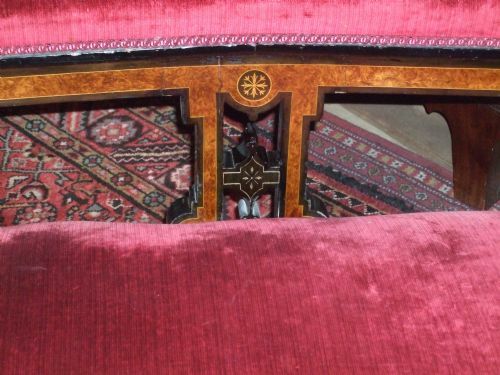 Well Proportioned Chippendale Period Mahogany Armchair C.1770 Good Colour Mahogany and Weight well Pierced Splat with Scroll & Carved Decoration, a nice example of 18th Century Craftsmanship. 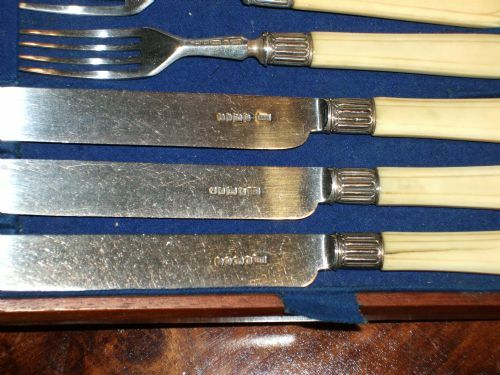 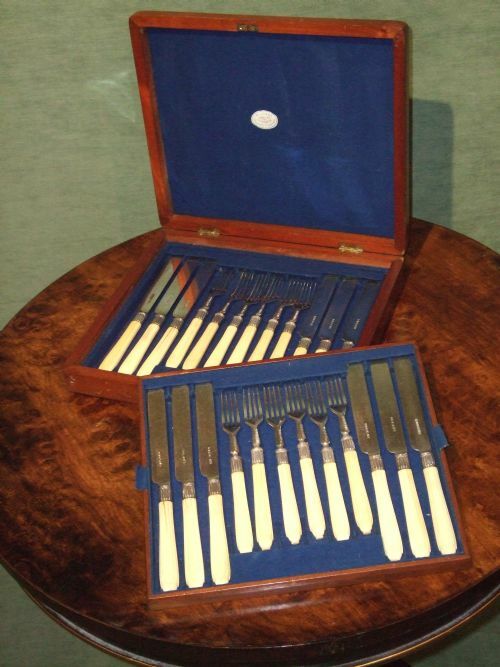 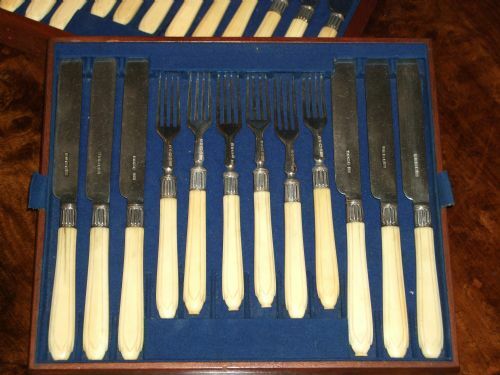 Dessert Cutlery Set Silver C.1872 in Mahogany Box. 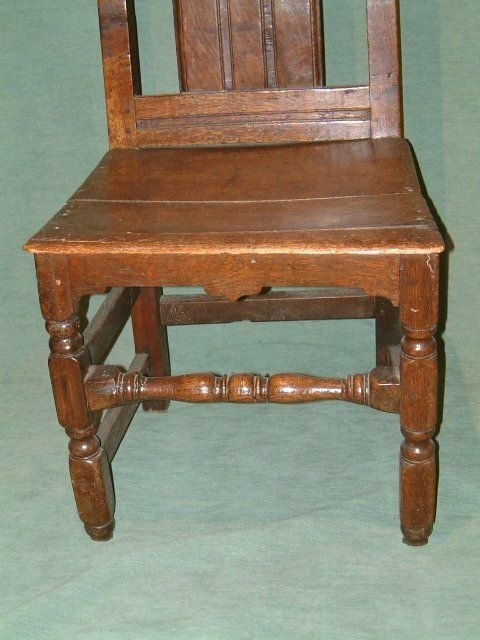 Early 18th Century Oak Back Stool (Chair), Good Colour and Patination nice carved decoration to Top Rail. 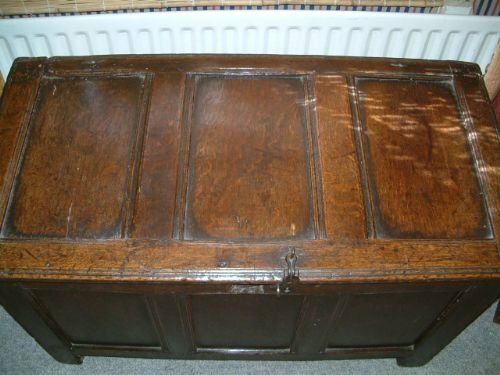 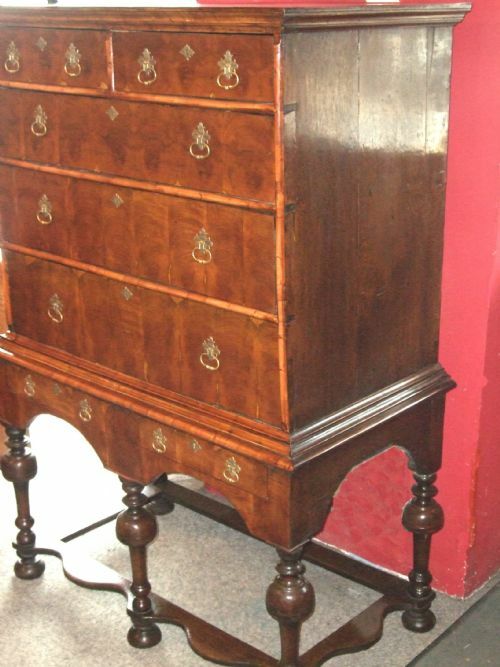 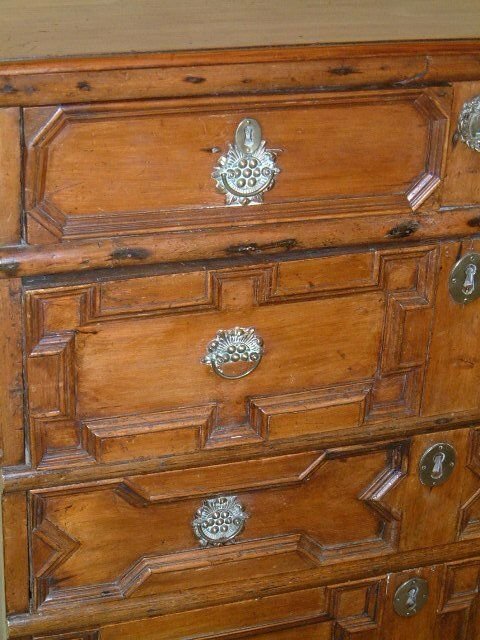 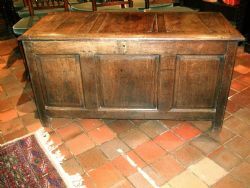 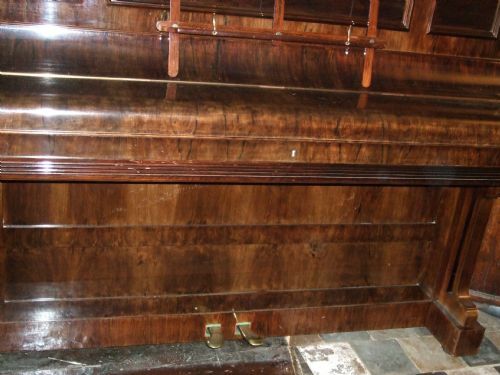 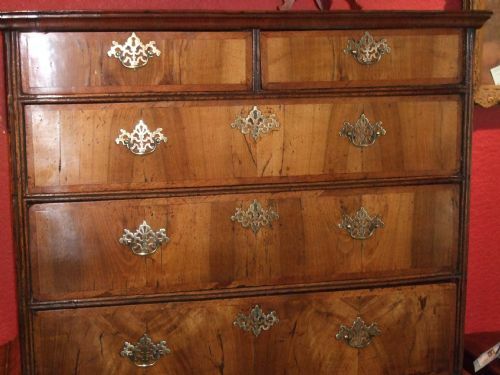 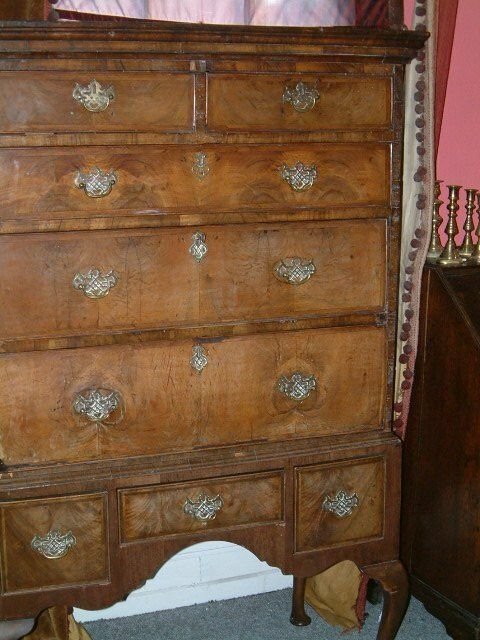 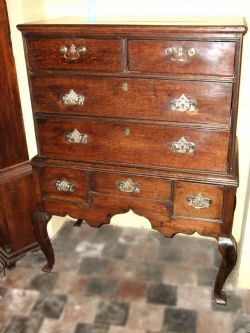 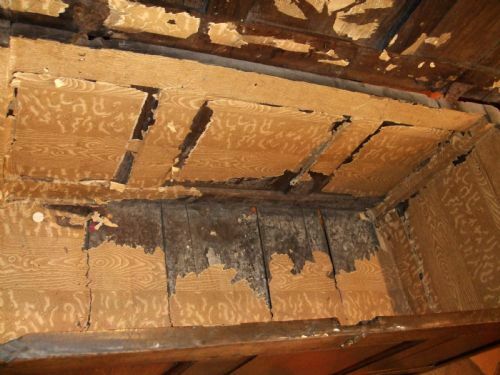 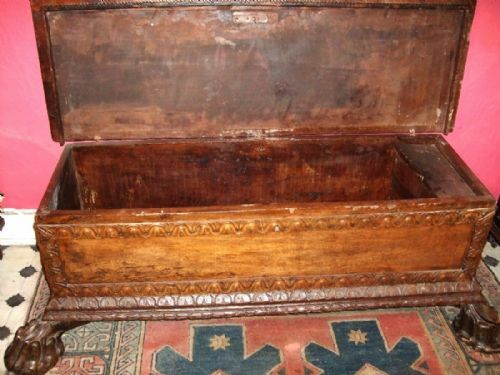 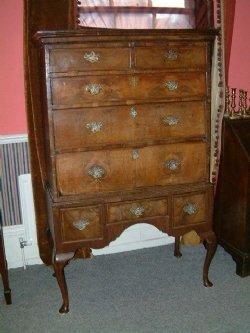 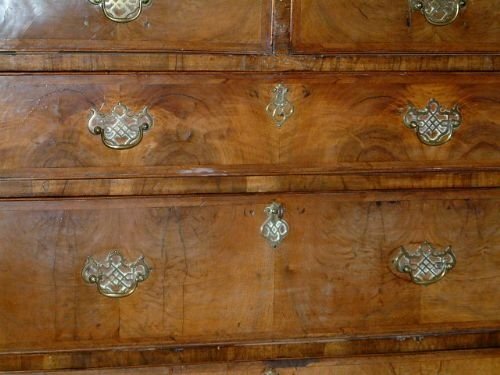 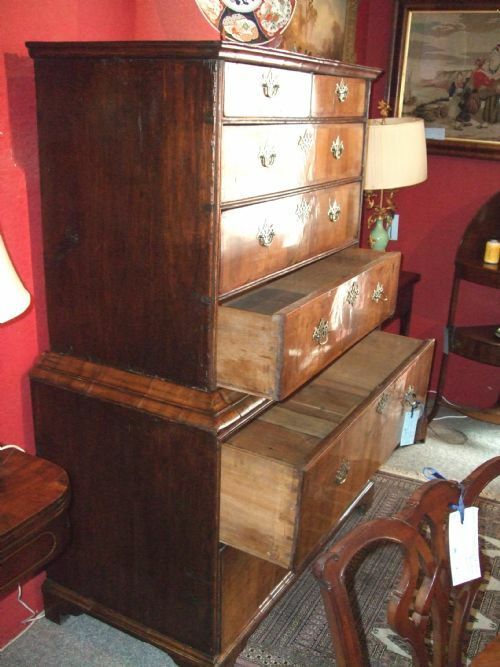 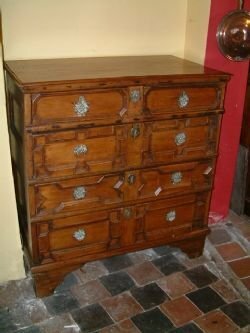 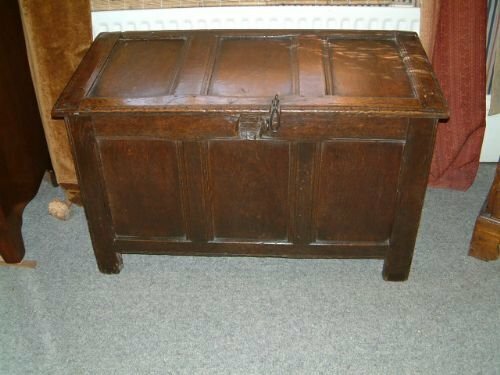 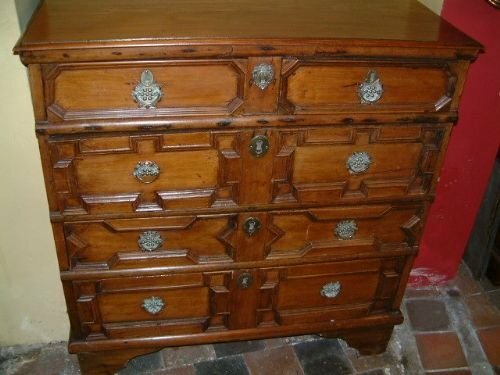 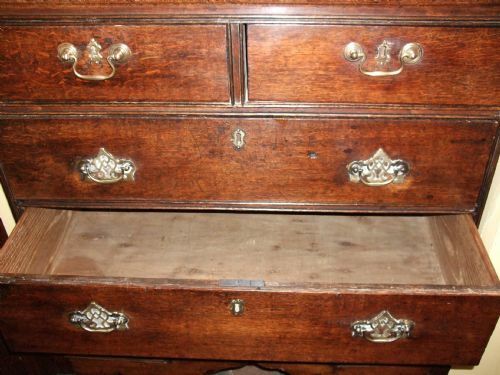 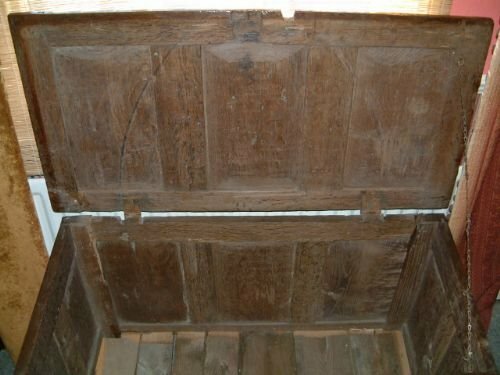 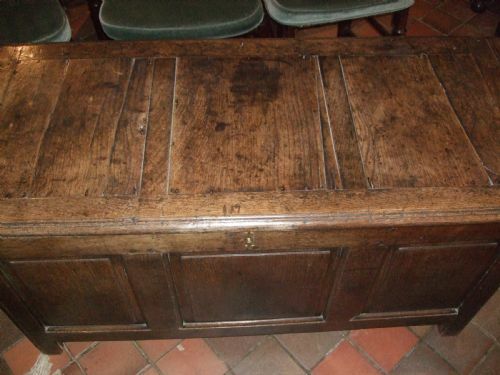 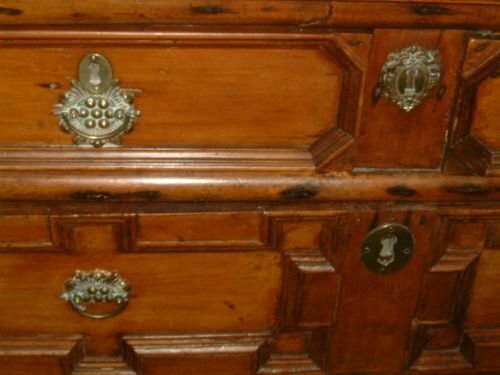 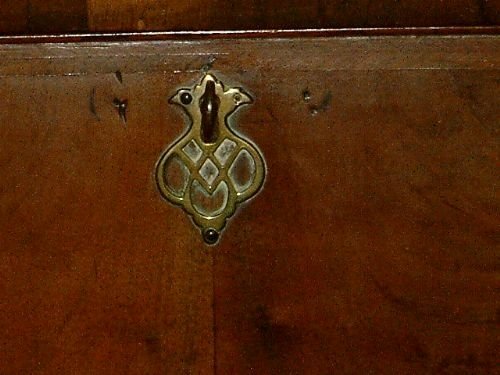 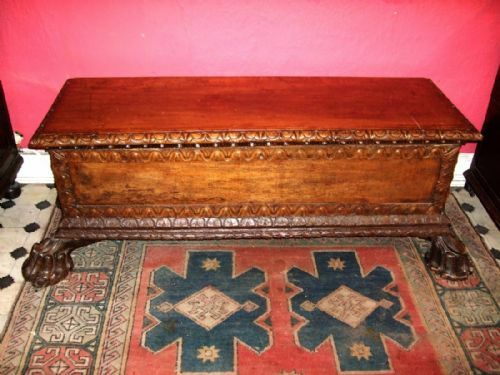 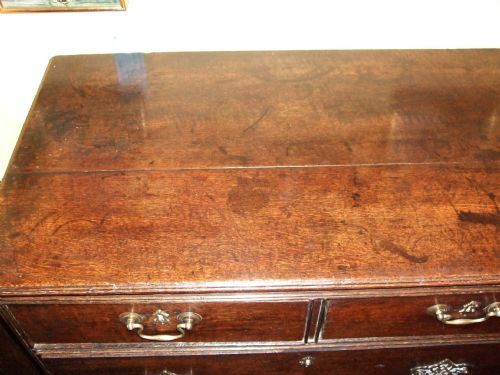 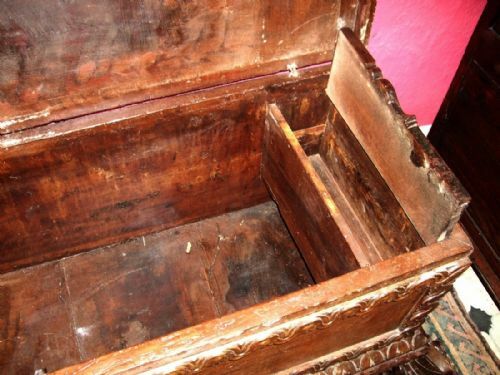 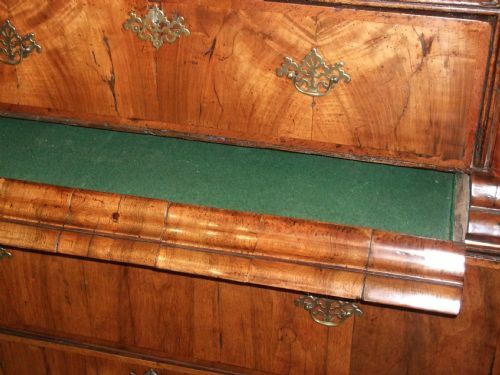 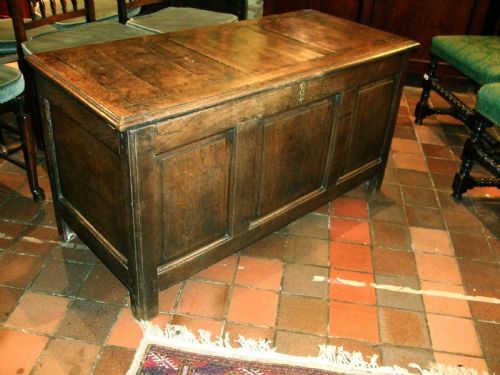 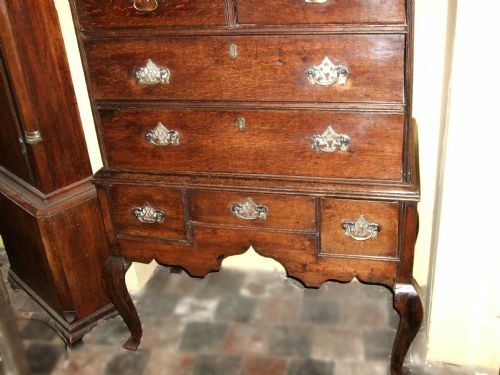 Early 18th Century Oak Chest on Stand NIce Brasses Posibly Later. 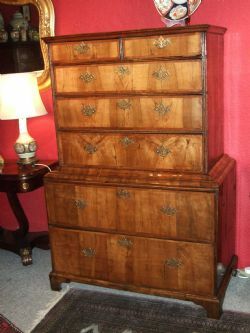 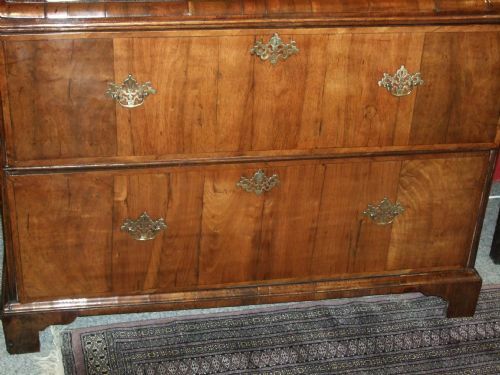 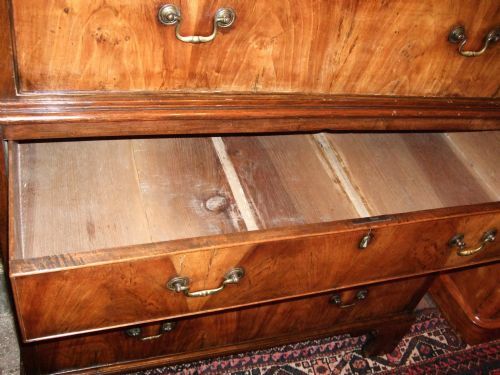 Early 18th Century Walnut Chest on Stand the Moulded Cornice above Two Short & Three Long Graduated Crossbanded Drawers with Pierced Brass Handles the Stand Possibly Later with Shaped Apron with Three Smaller Drawers Supported on Cabriol Legs. 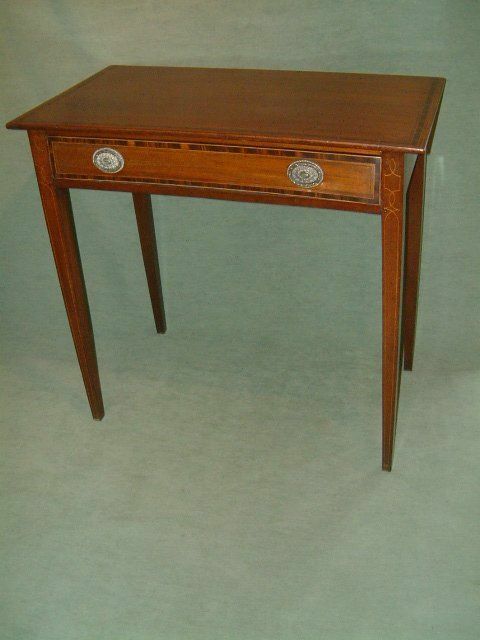 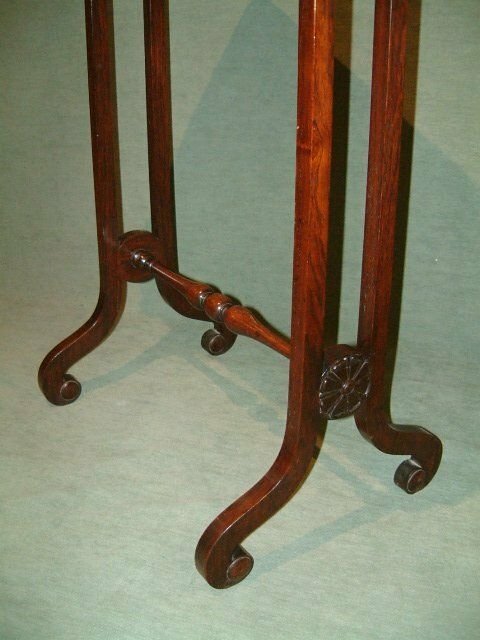 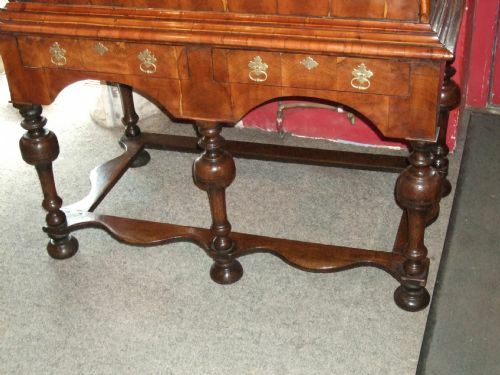 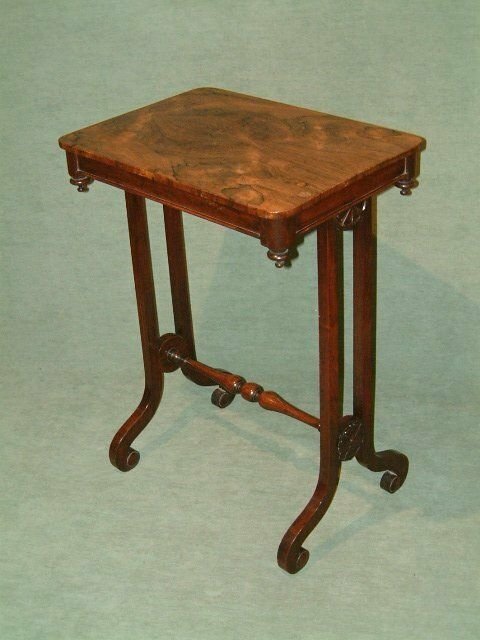 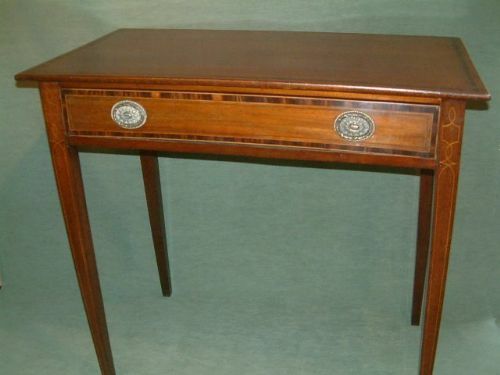 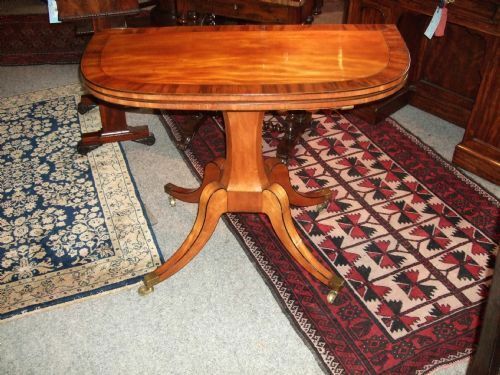 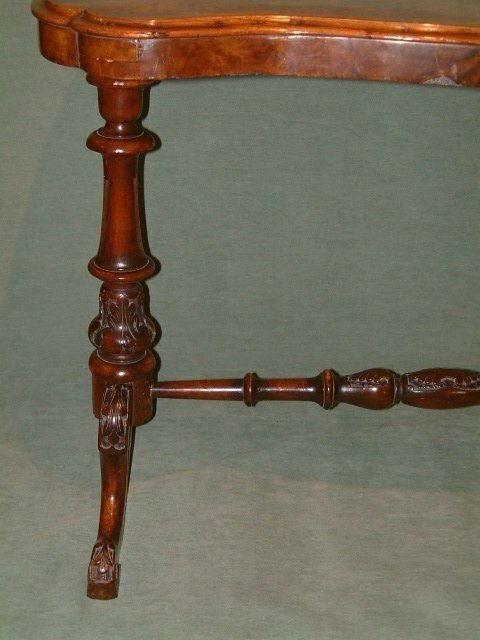 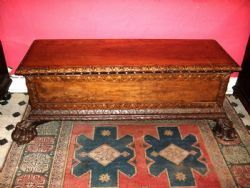 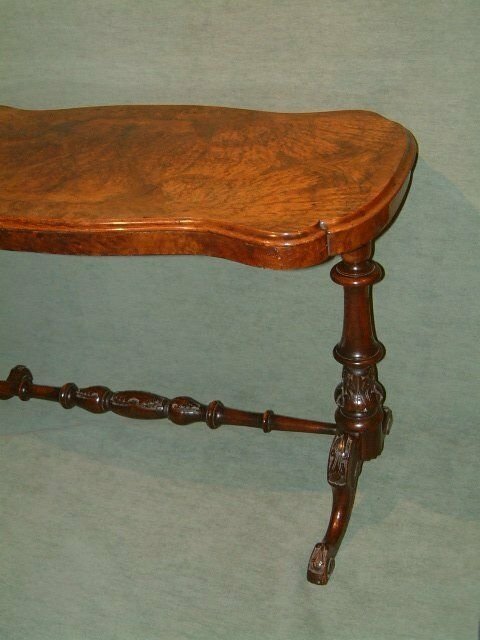 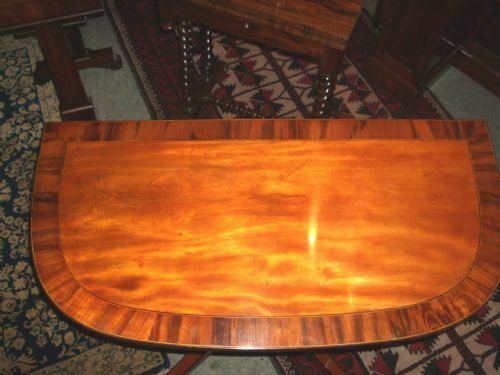 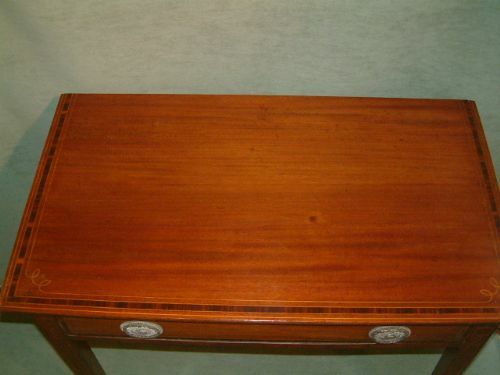 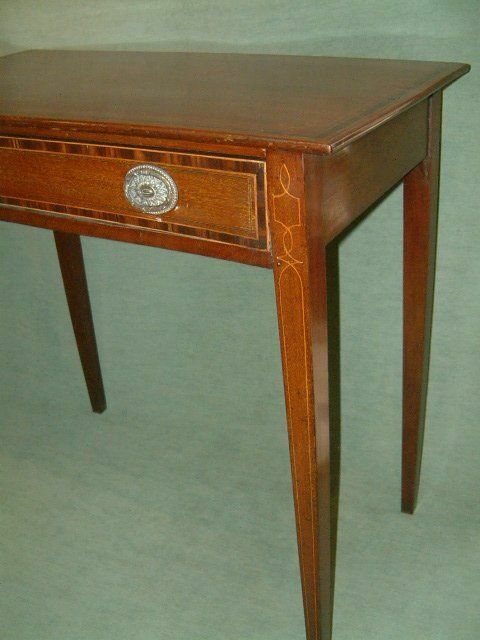 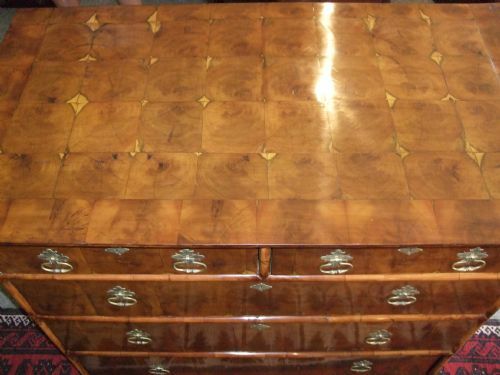 Early 19th Century Mahogany & Inlaid Side Table with Drawer. 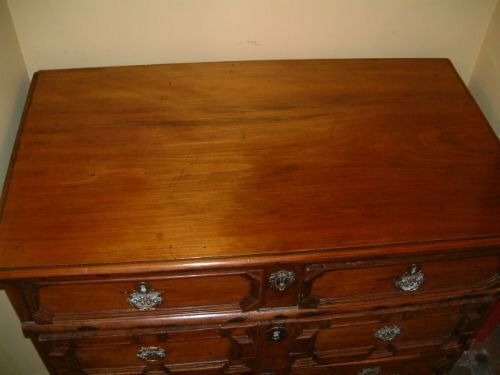 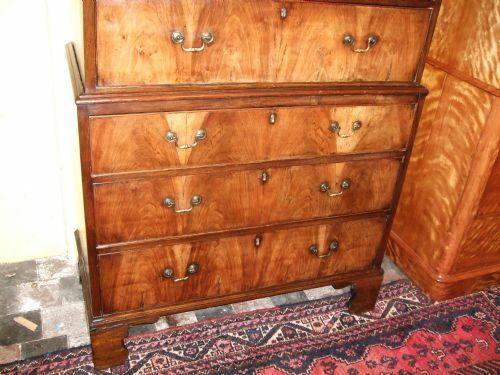 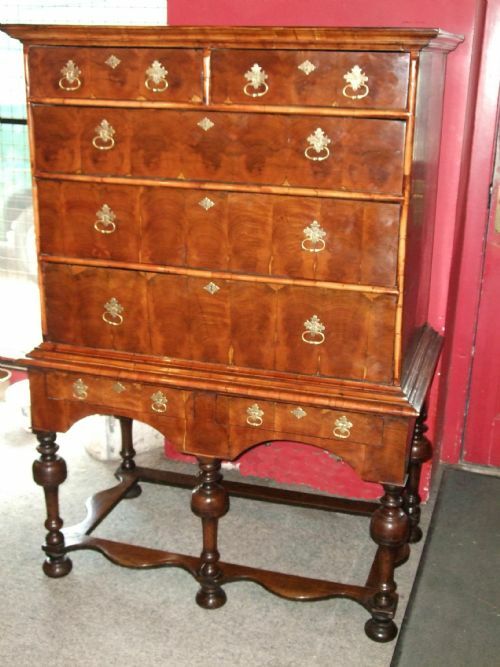 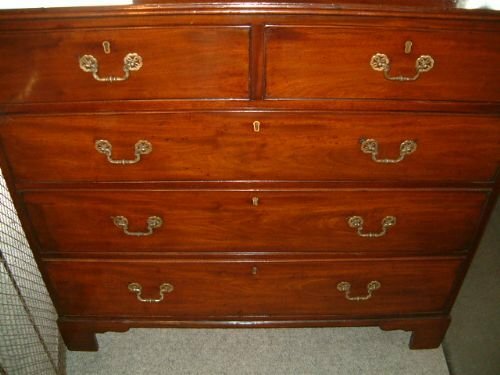 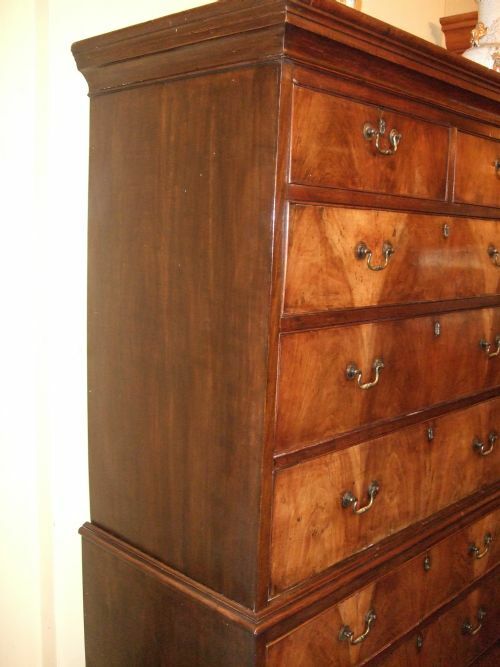 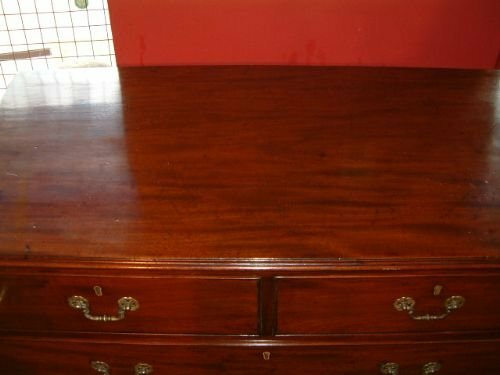 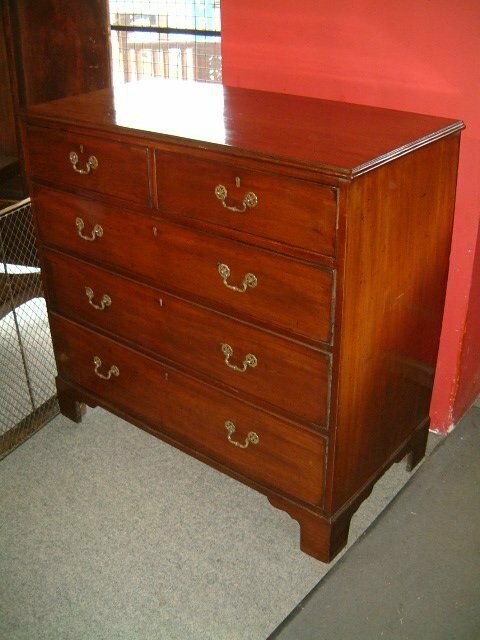 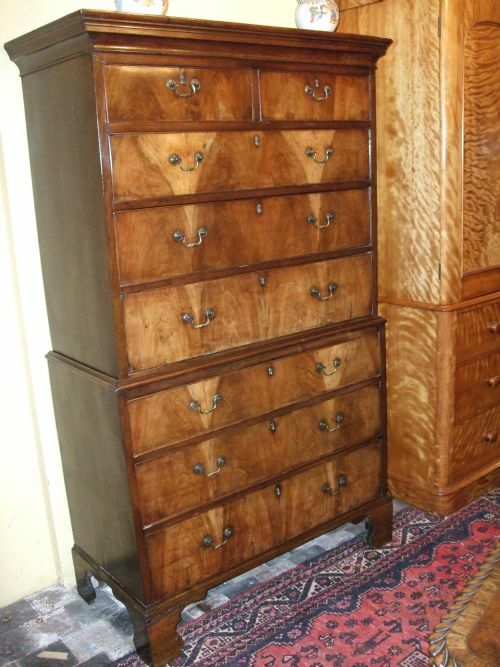 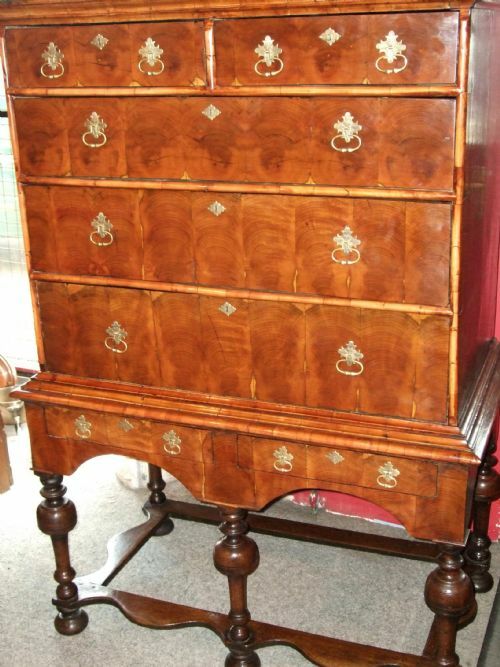 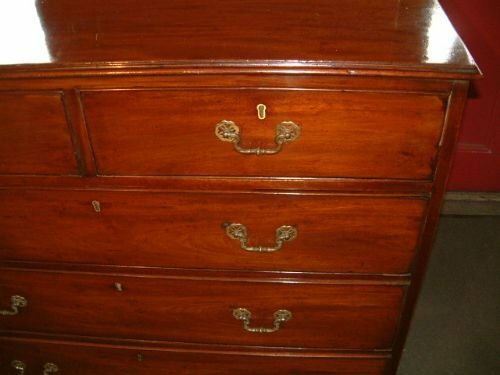 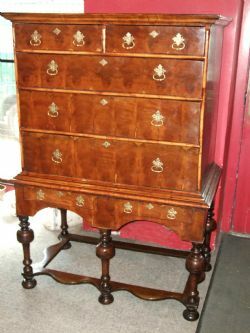 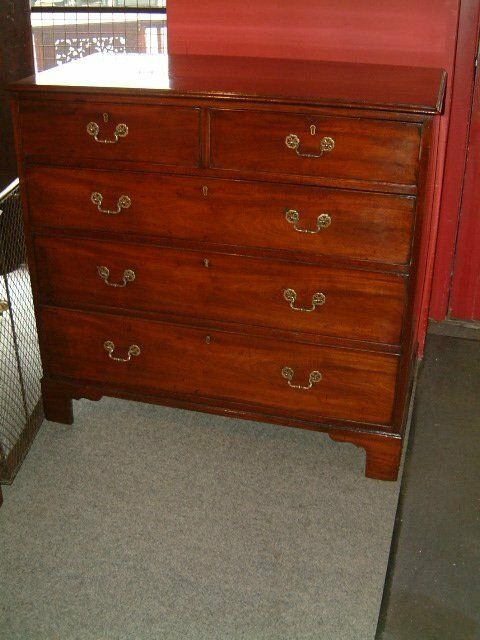 Early 19th Century Mahogany Chest of Drawers on Bracket Feet, Nice Colour, later Handles.